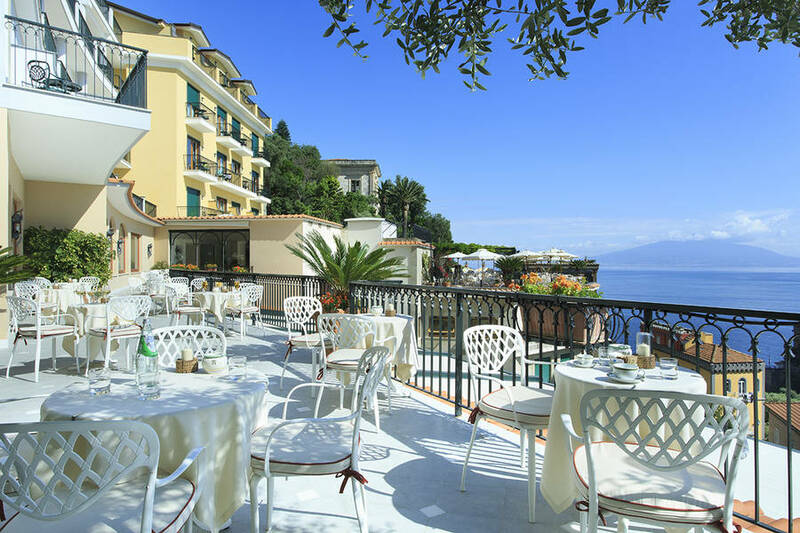 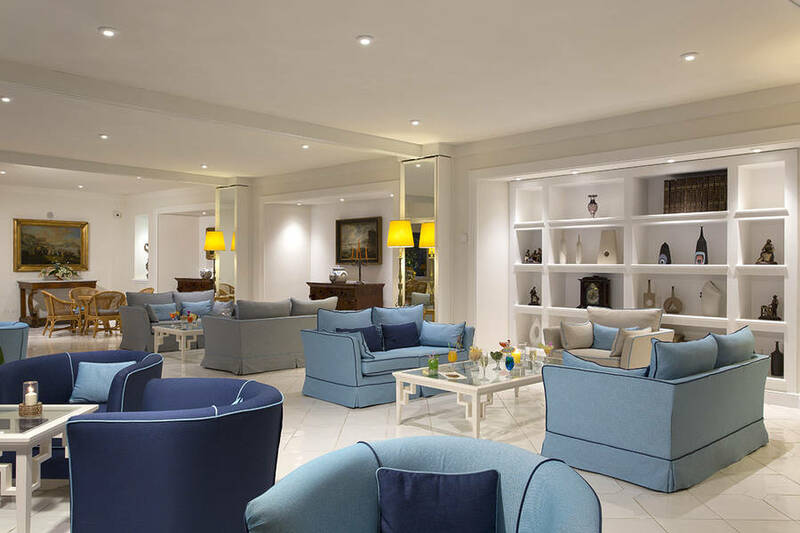 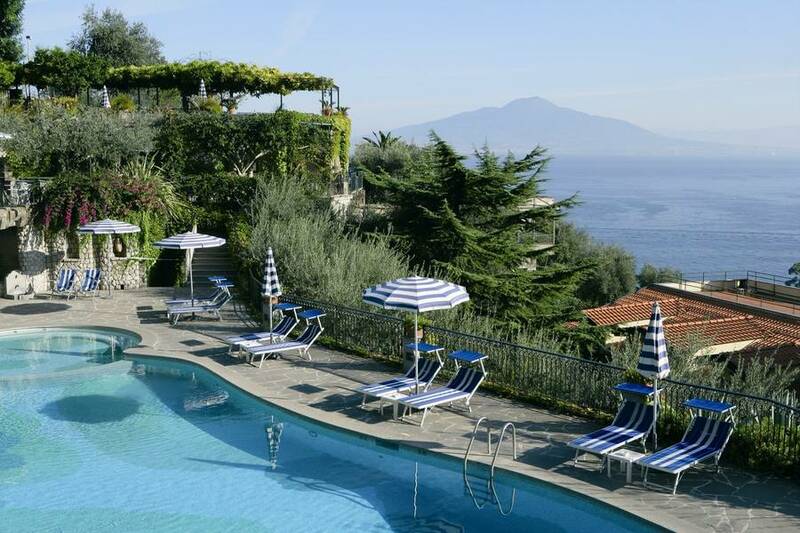 Grand Hotel Capodimonte is a superb 4 star superior establishment located in Sorrento, rising up on a rocky cliff which dominates the town and the Bay of Naples. 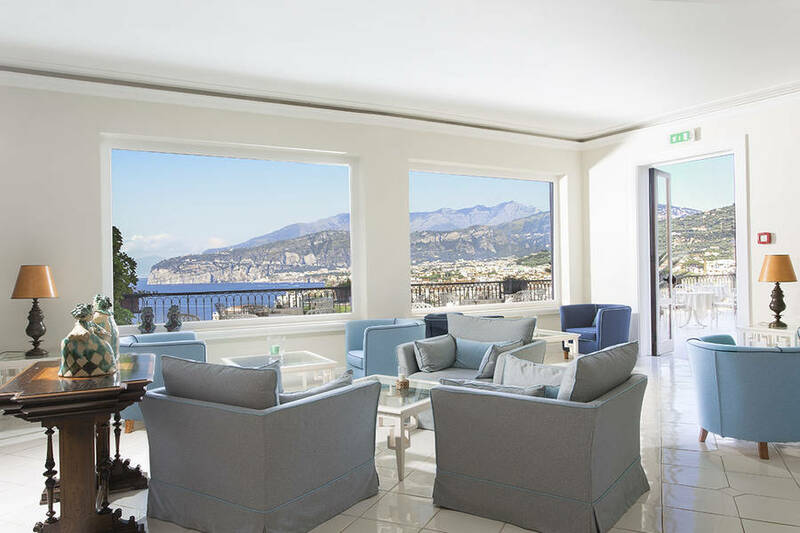 The hotel, built in classic Mediterranean style, boasts an imposing entrance carved in to the rock face and connected to the 5th floor of the hotel and the reception via modern elevators. 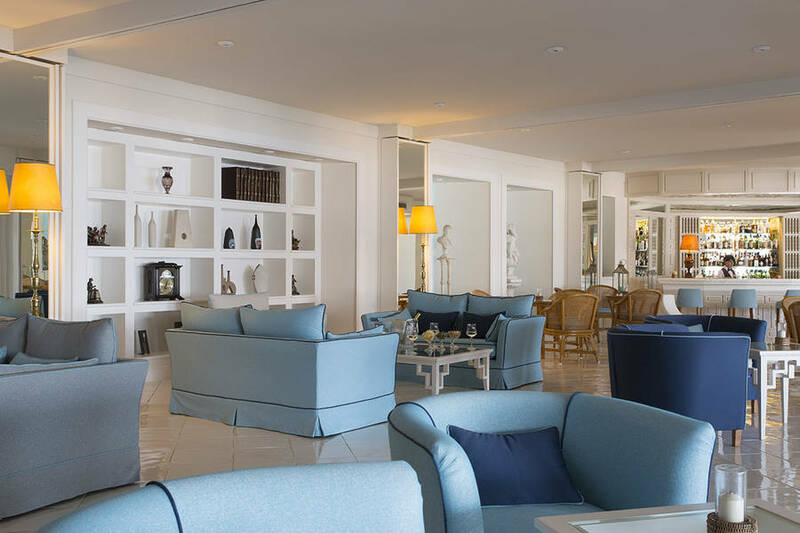 The interiors of the hotel's principal lobby with Lounge bar are furnished in vintage 1970's style and feature comfortable sofas, handcrafted wooden furniture, and marble stairs. 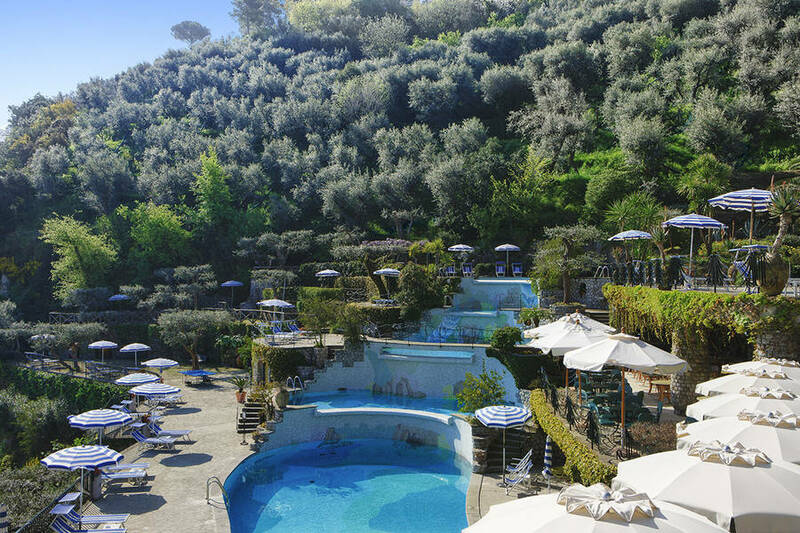 Via a characteristic majolica faced tunnel, guests access the Restaurant "La Bougainvillea", the meticulously kept gardens and Grand Hotel Capodimonte's 5 swimming pools. 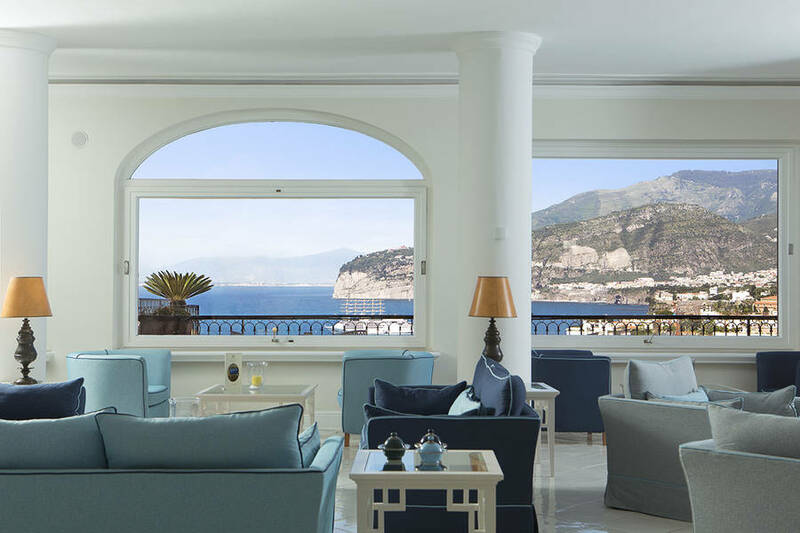 The hotel's spacious, light-filled bedrooms, are all appointed in elegant Italian style in soothing pastel tones. 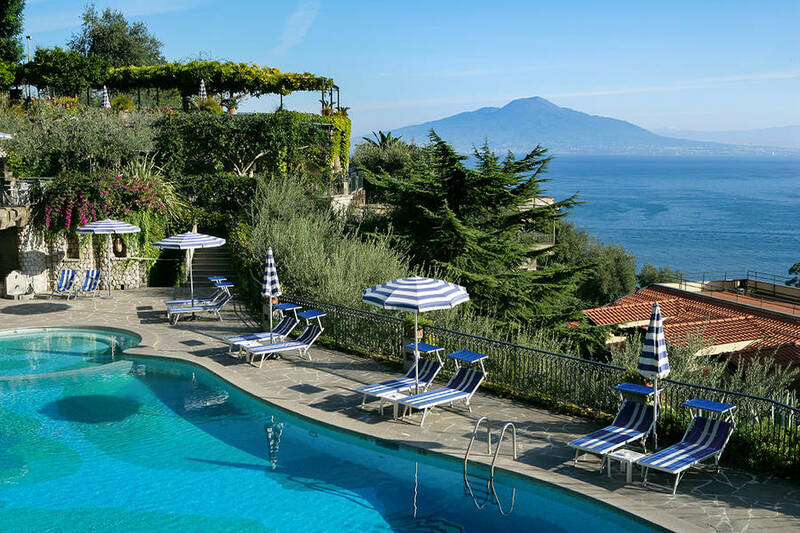 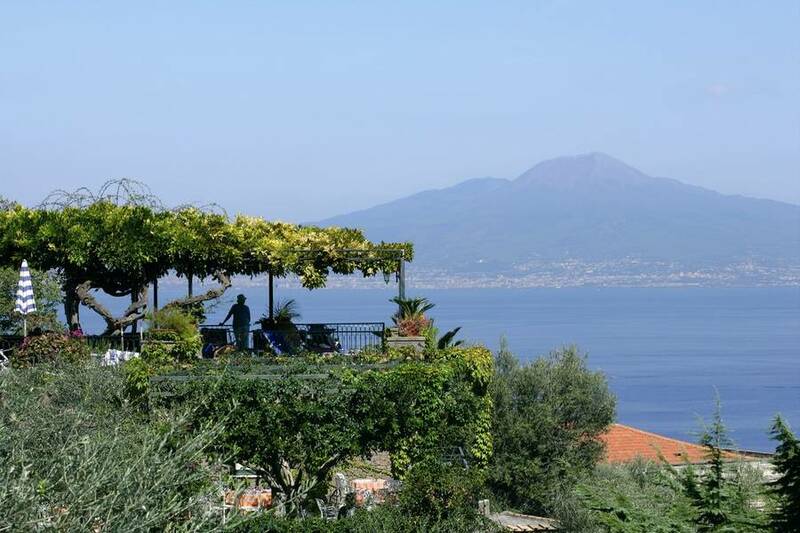 Guests staying at the Grand Hotel Capodimonte are treated to delightful views of Sorrento, the Bay of Naples and Mount Vesuvius. 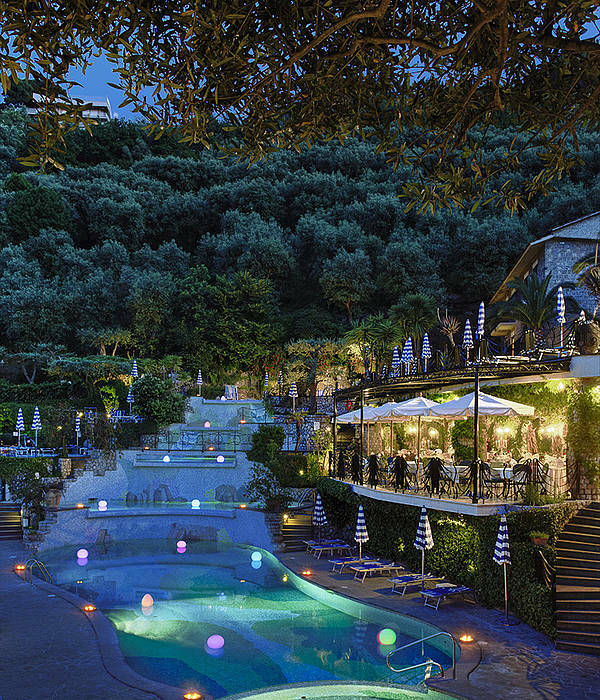 The hotel has gained an excellent reputation for the exquisite Neapolitan and international cuisine served in its 2 panoramic restaurants: "Le Ginestre" and "Le Querce". 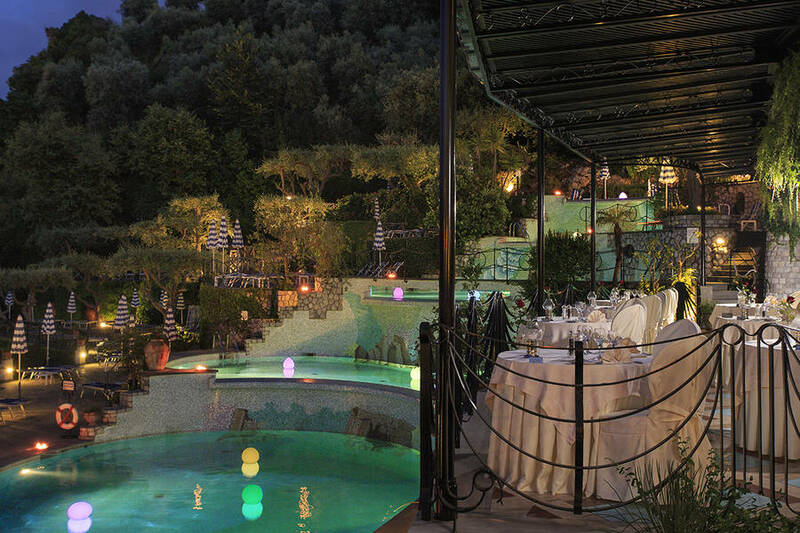 In the summer months, dinner is served al fresco on the terraces of the Le Querce. 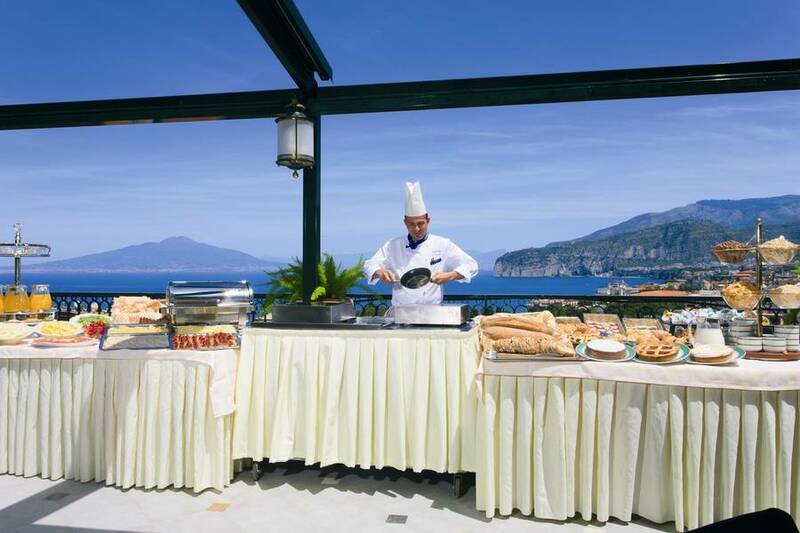 In addition, nestled amidst the olive trees and colourful Mediterranean flora, Grand Hotel Capodimonte's Snack Barbeque provides a charming venue in which to taste delicious grilled fish, meat and vegetables. 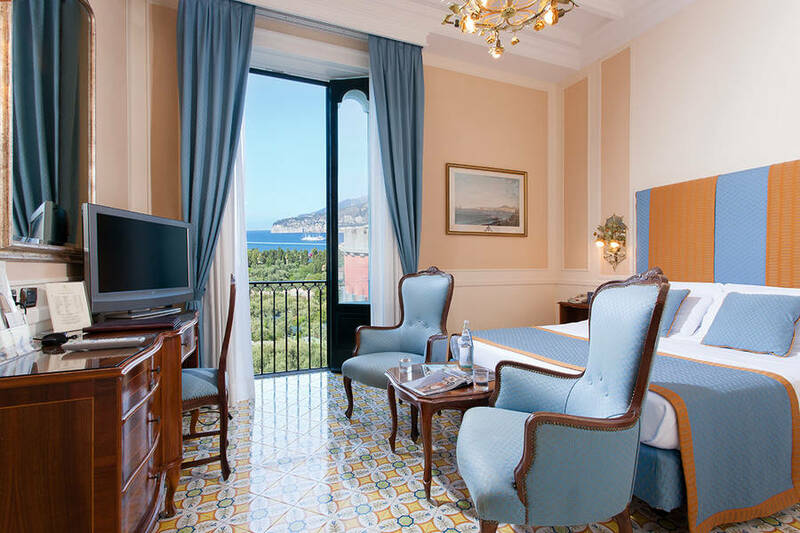 For those wishing to host an important business or social event in Sorrento, the Grand Hotel Capodimonte has a number of small meeting rooms and 2 large panoramic function rooms with a capacity for 20 to 200 people. 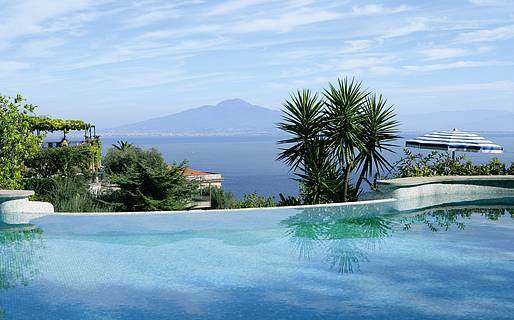 In the last 30 days 72 people have visited this page.